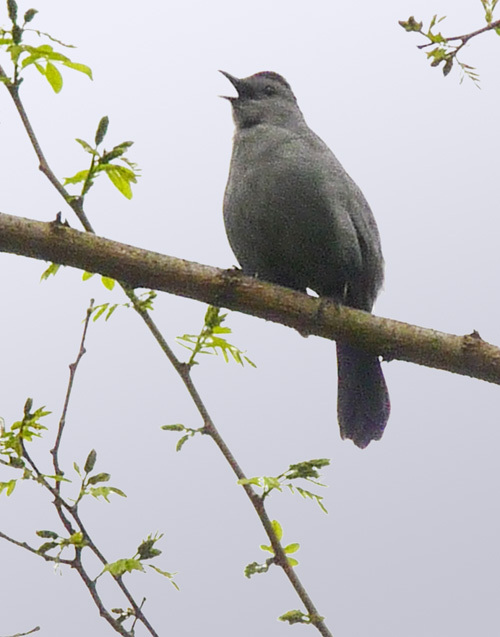 The catbirds have arrived from their wintering grounds in the South. This fat little fellow was singing his heart out in a magnolia tree along King Street. I say "fellow" because the males usually arrive a few nights earlier than the females. Catbirds migrate by starlight. Catbirds eat mostly insects in spring, but gradually shift to fruit in the fall. One of their favorite snacks is poison ivy berries.